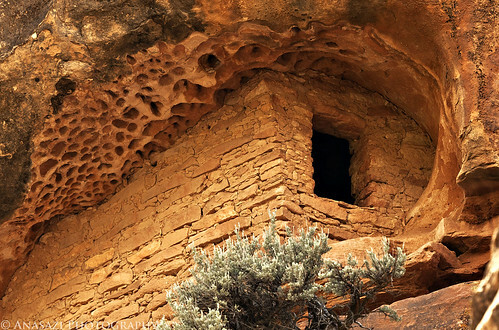 Here’s a photo of the Honeycomb Ruin that I took from well below it with my long lens. It’s known as the Honeycomb Ruin because of the tafoni of the sandstone on the ceiling above the ruin which can look pretty cool in photos. Had I had more time, I would have liked to climb up to it for a different perspective and to explore the area, but that will have to wait for another trip.